Mixels is a groundbreaking global franchise created by the powerhouse partnership of two of the biggest forces in kids’ entertainment – Cartoon Network and the LEGO Group. Mixels is centred around a world of colorful creatures who can mix and combine with each other leading to hilarious and surprising results. They are comical, mischievous creatures that live in tribes of three. Each tribe is based around a unique natural element. The Infernites are fiery and short tempered, but handy for a barbeque. The Cragsters are the industrious mining tribe and the Electroids are a quirky bunch with enough nervous energy to light up the whole world. 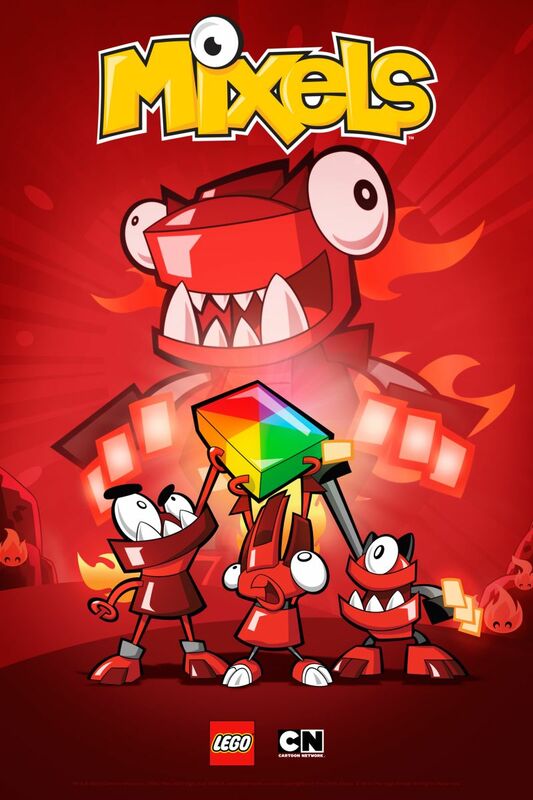 Nixels, annoying and destructive little creatures, wreak havoc over the Mixel land trying to tear down and break apart the tribes. Mixels will air as 2 minute shorts every Saturday at 8am starting February 15, 2014.